Swift supports Romeo and Juliet Jump to media player Taylor Swift attended the Hollywood premiere of the latest film version of Shakespeare's Romeo and Juliet. It's the most famous love story of all time, a Shakespearean classic of romance, conflict and family rivalries. And Romeo and Juliet is coming back to the big screen, for the first time since Baz Luhrmann's 1996 adaptation. While that version starred Leonardo DiCaprio, a British star takes on the lead role for 2013. 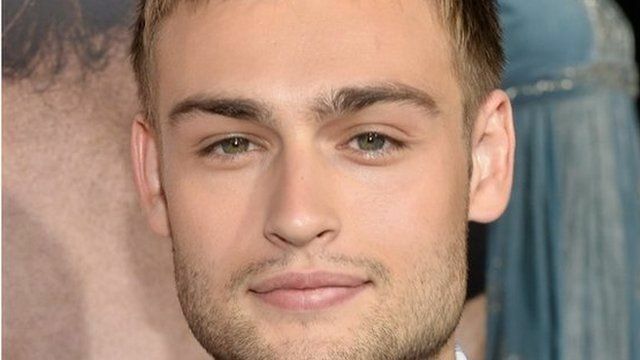 Douglas Booth, previously best-known for playing Boy George in the TV drama Worried About The Boy, stars alongside Damian Lewis as Lord Capulet and Hailee Steinfeld as Juliet. Douglas joined BBC Breakfast to talk about the role.